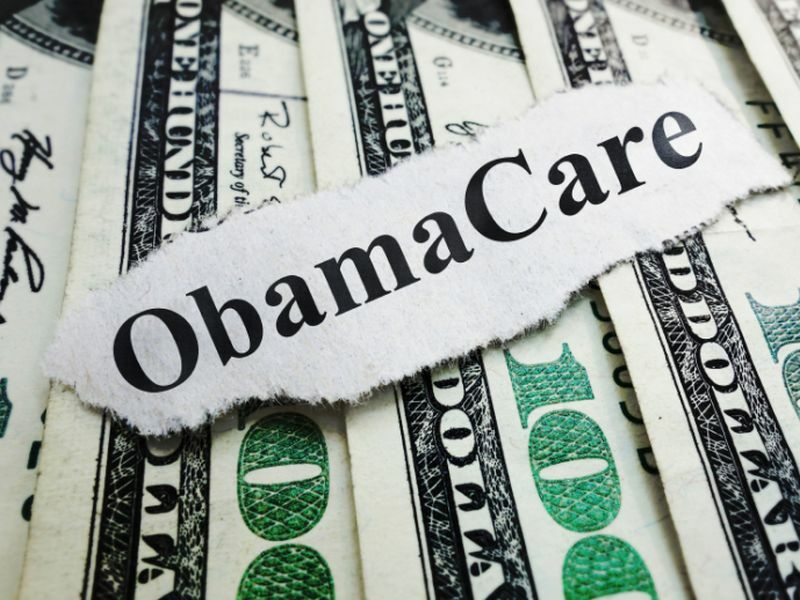 FRIDAY, June 24, 2016 (HealthDay News) -- Many buyers of health insurance under the Affordable Care Act need to brace themselves for sharply higher premiums in 2017, analysts and insurance brokers say. The rate hikes will mainly affect the millions who pay all of the cost of health insurance out of their own pockets -- or a sizable chunk of it, they explained. Buyers with modest incomes, $29,700 to $35,640 for an individual, may qualify for federal subsidies to help lower their monthly health plan premiums if they enroll through HealthCare.gov or their state insurance marketplace. But they don't get as much financial help as low-income earners, and may feel the pinch of higher rates. Consumers earning upwards of $47,520 for an individual will certainly be affected. This group of buyers makes too much money to receive federal subsidies. They can shop for health insurance either on or off the marketplaces established as part of the Affordable Care Act (ACA), but they'll pay the entire premium themselves, the experts said. One group expected to weather the rate hikes? Low-income Americans who qualify for federal tax credits toward all or most of their health plan premiums. "When premiums come in higher, low-income people are insulated from those increases because the tax credits wind up being larger," explained Bradley Herring, an associate professor of health economics at Johns Hopkins University in Baltimore. "But if you're not low-income then, no, you actually will face those high premium increases," he added. Open enrollment for health insurance coverage through HealthCare.gov for 2017 begins Nov. 1, 2016. Health insurers have already begun seeking regulatory approval for proposed rate changes, effective Jan. 1, 2017. Initial rate filings vary widely by market, by insurer and by health plan, with some rate hikes in the high double digits. Blue Cross Blue Shield of Texas has proposed boosting rates by nearly 60 percent, on average, for three of its ACA plans, affecting some 603,000 customers. In Colorado, Golden Rule Insurance Co., Colorado Choice and Rocky Mountain HMO have submitted rate requests for 2017, ranging from 35 percent to 41 percent higher, on average, according to the state insurance department. At the low end, Denver Health Medical Plan is seeking an average increase of just 0.08 percent. Under the Affordable Care Act, often called Obamacare, people have a choice of four levels of coverage: bronze, silver, gold and platinum. The second lowest-cost silver plan in a market serves as the benchmark for determining the amount of financial help that consumers may be eligible to receive toward their monthly health plan premiums. Subsidies are provided in the form of federal tax credits. A recent Kaiser Family Foundation analysis of proposed rates in 14 major cities, including the District of Columbia, found that premiums for those cheaper silver plans could jump 10 percent, on average, versus 5 percent in 2016. Insurance brokers say the 2017 rate requests largely reflect higher-than-anticipated costs partly due to sicker-than-expected enrollees and the sunset of programs designed to ease insurers' financial risk in the early years of the Obamacare marketplaces. Even if an insurer priced its health plans perfectly in 2016, its 2017 rates would reflect anticipated increases in health care costs and the loss of federal payments to insurers with extremely high medical claims, said Karen Bender, a health actuary based in Little Suamico, Wisc. "That almost gets you into the double digits right there," she noted. However, whether state and federal regulators will allow the higher proposed rates to take effect remains to be seen, and those decisions may vary from one market to the next, experts said. If insurers don't get the rates they feel they need, either more health plans could drop out of the individual market or they could intensify pressure on doctors and hospitals to accept lower rates, said Bender. That could lead to even more narrow networks if providers don't agree to those rates, she suggested. Bender serves on the health steering committee of the Conference of Consulting Actuaries. Consumers are advised to consider all of their expenses and health care needs when selecting a health plan. Premium is just one factor, experts say. But premiums are important because people have to be able to afford coverage, said Mike Cook, an Alexandria, Va.-based insurance broker. "If you can't afford [the premium], then the minute you miss [paying] it, the insurance company will drop you," he said. Last year, he said, several of his clients opted to forgo Obamacare coverage altogether because of the expense. Instead, they bought short-term health insurance policies and paid the federal tax penalty for failing to maintain "minimal essential coverage" under the law.